WHAT WILL BE HAPPENING PRIOR TO JESUS’ RETURN? We need to look at what Jesus said the times would look like just prior to His return, and learn what we MUST do. We must love the Truth and learn to depend upon the Holy Spirit in every detail…to hear the still small voice of God, and recognize His Hand in our lives. The Holy Spirit is the One who convicts the world of sin. What will it take to succeed in these times? Endurance. What is endurance? It is not a very popular word nor one that is understood very easily. However, in order to succeed in battle, we better understand it and learn to endure. It is obvious that we are living in times when it is increasingly important that we understand what it means to us as individuals. The King James Version of the Bible was translated well over three hundred plus years ago, and the meaning of some English words have changed. The KJV uses the word patience where we would use the word endurance today. Nobody likes that word—patience. People cringe when they hear someone mention that they prayed for patience. Many say that asking God for patience brings tribulation and all kinds of trouble. Where we talk about patience, the King James Version uses the word long-suffering. Patience or long-suffering means to be willing to put up with irritating people, circumstances and situations without losing your temper—to remain in good character, composed, and not fly off the handle like a volcanic eruption. It is a highly valuable Christian virtue…and satan knows best how to trigger each person to lose their temper. Hello?!?! I am well aware that I could use more of it myself when it comes to injustices, lies, betrayal and long-suffering. It’s blatantly obvious that the whole world needs it desperately. Never think you have arrived to some special place of achievement or honor in the things of God—we are always learning and growing…and will be till the day Jesus calls us home—through death or when the Trumpet sounds. When the King James Version uses the word patience, the modern day word would be endurance or perseverance. We need to look at what Jesus said the world would look like immediately prior to His return. Jesus gave a prophetic preview on the Mount of Olives. Many of the things He spoke about are coming to pass before our very eyes… right now. What I want to focus on is what we are going to need to get through these days. “And because lawlessness will abound, the love of many will grow cold. But he who endures to the end shall be saved” (Matthew 24:12-13). Pay close attention and notice the direct connection between lawlessness and lovelessness. It’s obvious that when people become lawless, they become loveless. We sometimes think of love as spontaneous, a natural response to others, as something free, something that requires no laws and no discipline. But that is far from truth. Love and discipline go hand in hand. Think about what it is like to raise a family. You love your kids, but they have to be disciplined. A good father disciplines his children. God disciplines us. Think about this with me. When discipline and law break down, love grows cold. We have watched it manifest for some time now in America…and across the nations. The word for love in verse 12 of Matthew 24 is agape, which refers to the love of Christians. Jesus is not talking about the love of the world growing cold, but the love of Christians growing cold. This is a bleak and somber picture of lies, deception, betrayal, rampant treachery and disloyalty within family relationships and toward Christians who will be hated by all. This is what Jesus warned us about…. This is happening today…and has been happening. People are being persecuted for their faith abroad and here in America. Adult children have risen up, like Judas in the Bible, to betray their own parents. That same deception is going on in marriages, legal battles, in businesses, and even in church and among believers. Never forget, in the Book of Revelation Satan is called “that serpent of old…who deceives the whole world” (Revelation 12:9). And Paul warns in 2 Thessalonians 2:9-11 that this satanic tactic will find its ultimate expression in the Antichrist, who will deceive with lying signs and wonders all those who “did not receive the love of the Truth” (2 Thessalonians 2:10). Our only protection is to receive the love of truth. All who refuse this will not merely be deceived by Satan; God Himself will send them a strong delusion…to those who chose not to believe the Gospel of Christ..the Truth. Love of the truth is not a mere conformity to religious tradition, imitating man, or using the latest worldly methods and strategies to draw a crowd in a church. It is not even reading your Bible and having a “quiet time” before the Lord on a daily basis. It demands a total, unreserved, unwavering commitment to believe and obey God’s Word—one that rules out all forms of compromise. It’s where we allow the Holy Spirit to reveal any areas in our own lives that need purifying…where we allow Church services to be led by the Holy Spirit, instead of man, where families and businesses are committed to God and Holy Spirit-led. The Holy Spirit reveals all hidden truth and shows us things to come. He empowers us, sanctifies us, and equips us to stand strong and to succeed. What Paul would tell us today is this……he knew Satan was terrified of his calling. The reason Paul was attacked repeatedly and recurrently is that the devil was fearful of the enormous progress Paul would make if he didn’t face opposition and adversity. Paul would remind us right now, for today, that his anointing, his calling, and his potential were the factors that triggered demonic attacks in the first place. Paul suffered many horrific and crazy things during the course of his ministry because he was appointed a preacher, an apostle, and a teacher of the Gentiles. You see, Satan was terrified of what would happen if Paul could operate in his divine call without hindrance and opposition. It’s starting to make sense to you now, isn’t it? Think about it. How much could Paul do without any opposition? How much territory could Paul take without opposition and resistance? If Paul was able to do all the incredible things he did with God for God’s Kingdom in the face of such evil opposition, what kind of Gospel advancements could he have made with no opposition! Satan stirred up trouble, threw every obstacle he could in Paul’s way to slow him down, to ruin his name, to discredit him, to destroy his relationships, friendships, and, if possible, to even kill him. Satan hated the call of God on Paul’s life…and he hates it on mine and your’s too. It’s obvious that Paul had a made up mind—a firm decision—that he would not stop, not quit, and not give up until he had apprehended that for which Christ Jesus had apprehended him (Philippians 3:12). You will have to do the same thing—have a made up mind—make a firm decision—so that you will be able to resist the enemy’s attacks and successfully achieve all God has called you to do with Him, by determining, right now, never to stop, until you have accomplished your divine destiny. Jesus taught that those who “endure to the end” are the ones who will receive the prize (Matthew 24:13). So..what are we to do? Resist the devil. Don’t give in. Hold out. 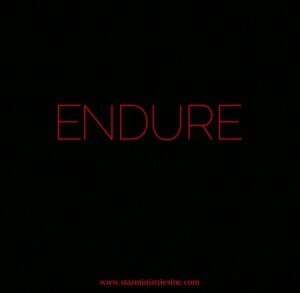 Endure. I firmly believe that God is speaking that word to us today. I pray that God, through His Holy Word, will put steel in your soul, increased boldness in your heart, and give you a spiritual backbone to endure if you do not already have one. I pray GOD will give you a holy boldness to stand strong, stand apart, and step out to represent Him well in the earth. GOD’S PRICELESS TREASURE (How To Overcome Challenges, Be Transformed and Know Your Purpose) …learn how to move from drama to destiny, a mess to a message, from trials and troubles to triumph through turning to Jesus Christ. A LEAP OF FAITH (25 Days At The Mercy Seat)….a miraculous story of hope and healing that will keep you turning the pages. God raised my husband from death, healed him from two strokes, and walked with us through two open-heart surgeries. This book will give you increased faith to believe God for anything and has a Confession Prayer inside that will change your life. 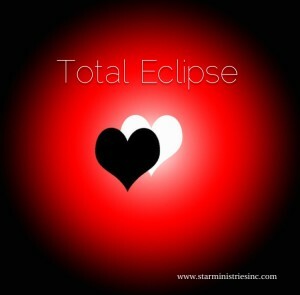 Available on Amazon, Barnes & Noble, xulon.com bookstore, www.starministriesinc.com and other distributors. Teach your children to pray every morning and night. They need to know about Jesus so they can live in the world with peace and know that God has a plan for their lives. You don’t want your family to miss eternity with Jesus. Commit your family and business to the Lord. If you have raised your children to know the Lord and they are away from God, keep praying God’s Word over them. *Great scriptures: Malachi 2:6, Isaiah 49:25, Psalm 129:4 and Jeremiah 29:11 are a few. The spoken Word of God does not return void. God’s Word never fails. If you got born again late in life, pray for your family now. It’s not too late if you have breath in your lungs. These two simple prayers will change your life. *Pray and apply the blood of Jesus daily and ask Him for wisdom. *Ask God to forgive you for any wrong thoughts, deeds, actions and words, and to remove anything that would hinder your relationship with Him. You can live according to God’s Word which is linear and get off of the vicious cycle of life through learning how to apply God’s Word to your daily life. You don’t have to live stressed out, upset, and in chaos. Choose this day whom you will serve. We are either living according to God’s Word and His ways…or choosing to operate in the world’s system. Each human being has a destiny. God has a plan and a purpose for your life. The believer’s purposes are to know God and to make Him known. To love one another (John 13:35), and to serve each other (Matthew 25:34-40). There is no higher calling, no occupation so satisfying. God desires us to have pure hearts so we can walk in His power. A pure heart has experienced brokenness and realizes their need for God, is soft and pliable to our heavenly Father’s touch, and seeks to know Him more on a daily basis. God desires relationship with us and a total commitment to His justice first and foremost. The basis is the righteousness of God Himself, and it is revealed in His law (which is Word). We are to love the law of God as it applies to all walks of life: home, business, politics, and the arts. God wants us to obey His Word because He says so. God wants us to act justly and to love mercy. This means we don’t have any desire to bring harm or destruction to anyone, but that they might be saved. Walking humbly with God means remaining in close fellowship with Him…consistently. Walking humbly means submitting to Him, doing what He says, simply because He says to do it. Walking humbly with God means being eternally grateful to Him giving continual thanks to Him for all His many benefits. Love the Lord your God with all your heart, soul, strength, and mind, and your neighbor as yourself. (Deuteronmy. 6:5; Lev. 19:18; Matt. 22:37, 39; Mark 12:30; Luke 10:27). Act justly, love mercy, and walk humbly with God (Micah 6:8). Use these responses to evaluate your walk with God. We can have peace in the midst of life…and through all the storms that come with it. Jesus is Peace. He is with us in every situation. We can have peace when we turn to Jesus in everything. Trust Him today. Teach your family to pray! God loves us so much He sent His Only Son that we might have eternal life with Him. We have everything we have need of through the Blood of the Lamb —Jesus Christ! Oh how He loves you and me! GOD’S PRICELESS TREASURE (How To Overcome Challenges, Be Transformed, And Know Your Purpose)….learn how to move from drama to destiny, pain to purpose, a mess to a message, trouble, trials, and tribulation to triumph through turning to Jesus Christ. A LEAP OF FAITH (25 Days At The Mercy Seat)…the amazing story of God raising my husband from death, healing him from two strokes, the walk at Mercy through two open-heart surgeries, and how the Holy Spirit led us through it all. See how the stories of my father passing from this life to heaven, our son having open-heart surgery years before, and the walk at Mercy all intertwined according to God’s divine plan. You will be in awe of God. This book will give you increased faith to believe God for yourself, for your family and for the nations. THE MIDNIGHT HOUR (Will America Turn Back To God?) A must read for all.